Since its inception the NAHSE Annual Everett V. Fox Student Case Competition (“Case Competition”) has been dedicated to providing graduate-level students with an educational experience that enhances their problem analysis and presentation skills. The Case Competition is a scholarship program, where graduate programs in Health Administration, Business Administration and Public Health are invited to form teams of 1-3 students. Student teams are given a unique case study and are charged with applying their creativity, knowledge and experience to analyze the diverse and real situations facing the healthcare organization featured in the case. In addition to the competition, participation in the Case Competition allows students the opportunity to display their skills before prospective employers and to build their professional network. The Case Competition program also includes networking events where students are encouraged to network with judges and sponsors, as well as with general conference attendees in order to strengthen their peer-to-peer and professional network contacts. • Recognition of sponsorship, with your organization noted in the conference marketing materials (i.e., brochure, program, website) including signage at the event. The National Association of Health Services Executives expanded its scholarship program in 1996 to include the Annual Everett V. Fox Student Case Analysis and Presentation Competition, known as the “Case Competition”. The Case Competition is a scholarship program that utilizes the case study methodology of teaching to provide graduate students with an educational experience that enhances their problem analysis and presentation skills, while exposing them to real-life health services administration issues. Graduate Programs in Health Administration, Business Administration and Public Health are invited to form a team of 1-3 students. Approximately 20-25 student teams will be given a unique case study and are charged with applying their creativity, knowledge and experience to analyze the diverse and real situations facing the healthcare organization featured in the case. The teams are given the specific facts and raw data related to the case, from which they are expected to reach decisions as outlined in the case assignment. Past cases have been modeled after organizations such as Kaiser Permanente, Mayo Clinic, Catholic Health Initiatives, Trinity Health System, University of Maryland Medical System, HCA, UnitedHealth Group, G. E. Healthcare, and most recently Catholic Health Partners. The teams present their case findings and recommendations before panels of judges representing leaders in the healthcare field, corporate sponsors and academia. Graduate Programs in Health Administration and related fields form teams of one to three students. All participating student teams shall be composed of at least one (1), preferably more, African American students. Three weeks prior to the Competition each team receives the case study to analyze and form recommendations. During the Competition, each team has twenty (20) minutes to present their analysis and recommendations, which is followed by a ten (10) minute questions and answer period. Presentations are made before a panel of judges representing leaders in the healthcare field, corporate sponsors and academia. Challenges. Provide your students an opportunity to function as a team of executives working on a challenging, real world healthcare scenario with the opportunity to present their results to industry leaders. Fellowships and Early Careerist Opportunities. Provide your students with the possibility of obtaining increased exposure to administrative fellowships and early careerist employment opportunities as well as resume review feedback at the Fellowship Reception. Recognition. Provide your graduate program with the opportunity to be recognized as a leader in the preparation of future young health-care management professionals and provide your graduate program with the opportunity to be show-chased to prominent healthcare leaders from all over the country with the likelihood of forming new relationships/partnerships. Exposure to other health administration and business administration programs. Provide your students the opportunity to showcase and apply their presentation, analytical, group management skills and the strength of their respective healthcare programs to some of the most prominent healthcare executives from across the country. Exposure to industry executives. Provide your students with the opportunity to shine for the 40+ seasoned executives and young administrators who serve as judges of the competition and the hundreds of the Educational Conference attendees who compose the audiences. Competition. Provide your students and your program the opportunity to compete against other top ranked graduate programs and students nationwide and assess their performance versus other programs. Networking Opportunities. Provide your students the opportunity to network with healthcare executives from across the country and more so with other graduate students that will soon become their colleagues at the Student Networking Receptions and other events. Educational Sessions. Provide your students with the opportunity to experience the atmosphere and composition of one of the premier healthcare conferences in the nation through the concurrent educational sessions and activities including the Public Policy Forum, Young Healthcare Professionals Forum and leadership luncheons. Mutual Support Network. 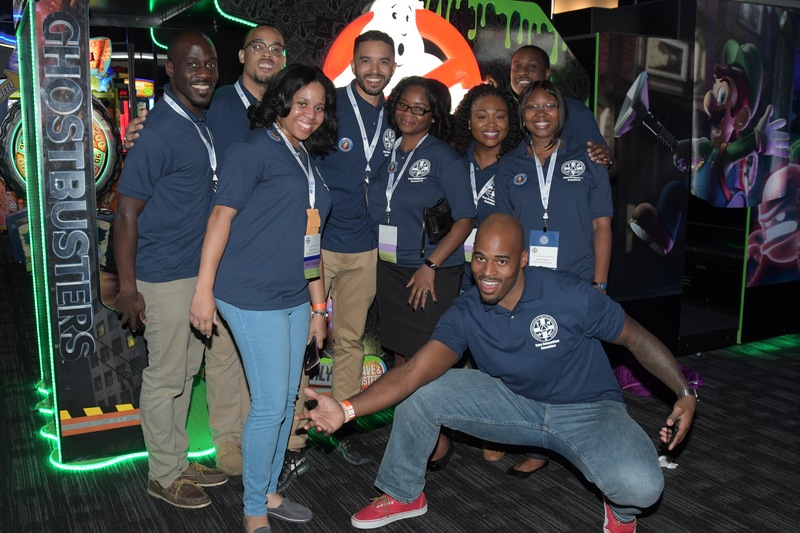 Provide your graduate program with the opportunity to be recognized as a supporter of NAHSE through the development and growth of the number of future minority healthcare executives, and utilize the alliance for future collaboration opportunities. Scholarship Opportunities. Provide your students with the possibility of obtaining substantial scholarship funding to assist their pursuit of a graduate degree in healthcare administration. • One seat at each of the Judges Panel for the Preliminary and Semi-final rounds.